Feb. 29, 2016, 8:32 p.m. 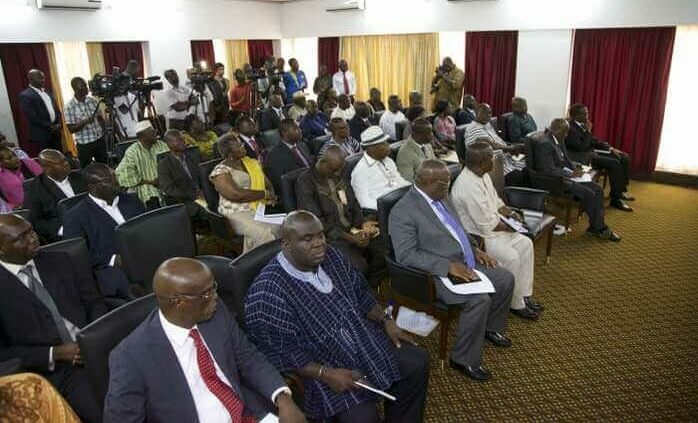 The Okyenhene, Osagyefo Amoatia Ofori Panin II, has underscored the need for the National Development Planning Commission (NDPC) to ensure that Ghanaians actually own its proposed 40-year development plan. He noted that the implementation of the plan could be impeded if Ghanaians did not have a sense of ownership of the plan and the resources of the country. 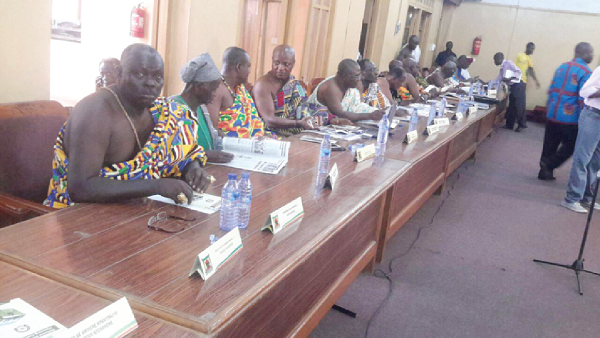 Osagyefo Amoatia Ofori Panin made the call when he contributed to discussions at a forum organised by the NDPC to brief the National House of Chiefs on preparations towards the development of the 40-year plan. The meeting provided the platform for the NDPC to explain the rationale behind the plan. The 40-year plan which was launched in August last year would officially take off from 2018 to 2057, when the country would be celebrating its 100th independence anniversary. The framework of the plan will entail 10 four-year medium-term plans by successive governments that will end in 2057, as well as national elections, beginning with the election in 2020 and ending with the election of 2056. 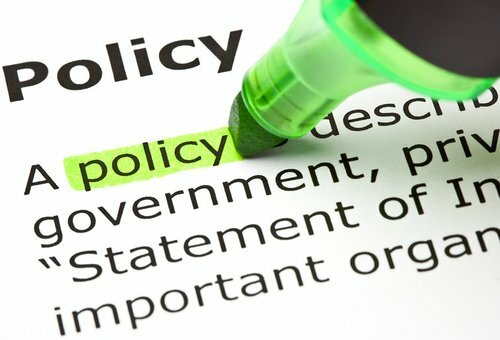 The 40-year plan will replace five medium-term plans which the country had been implementing since the Fourth Republic, which would end in 2017. They include the Ghana Poverty Reduction Strategy (2003-2005); Growth and Poverty Reduction Strategy (2006-2009); Ghana Shared Growth and Development Agenda I (2010-2013) and the Ghana Shared Growth and Development Agenda II (2014-2017). The commission is enjoined by Act 479 to establish cross-sectoral planning groups “which shall integrate and coordinate the planning and development activities of such sectors of the economy as it may determine”. Nana (Dr) Susubribi Krobea Asante, Asokorehene said the main threat to the implementation of the plan was the way the country’s political system was run. He commended the NDPC for putting in place a legal framework which would make it compulsory for manifestoes of political parties to be guided or emanated from the plan. The Agbogbomefia of the Asogli State, Torgbe Afede XIV, said comparing Ghana’s plan and that of the Asian Tigers like Singapore, must be properly contextualised because at the time they (Asian Tigers) embarked on their plan, globalisation had not become more vivid and real as now. “At that time, they could easily protect their local industries and shun the rest of the world; but it will be difficult for Ghana to tread the same path now against the backdrop of the impact of globalisation,” Torgbui Afede pointed out. The Chairman of the NDPC, Professor Kwesi Botchwey, called on Ghanaians to work together in good faith to sustain the nation on the path of progress. He said it would take the collective effort of all Ghanaians to ensure the sustainability of the long-term development framework. 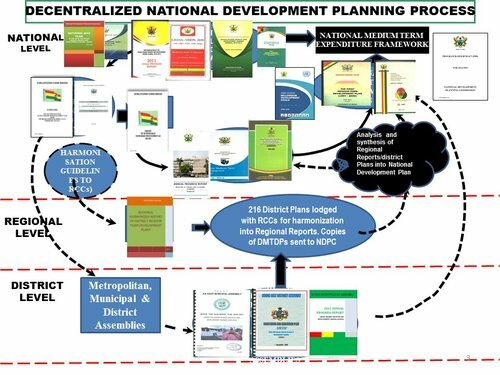 The Director-General of the NDPC, Dr Nii Moi Thompson, said the development of a long-term framework was consistent with international best practice. Ghana needed to adapt itself to the changing world — economically, culturally and socially — to be abreast of globalisation, he stated. The Wulugu Naba, Pugansoa Na Professor John S. Nabila, who is also President of the National House of Chiefs, said chiefs had an important role to play in the implementation of the proposed 40-year plan.